Roghnu partners with the best-in-class service solution providers to better integrate your organization! Sage Intacct is 100% invested in meeting the needs of financial professionals and 100% committed to the cloud. Customers ranging from startups to public companies rely on Sage Intacct’s best-in-class cloud ERP software to deliver the efficiencies and insights that keep them on the fast track of growth, from their first million to their first billion. Partnering with Sage Intacct has allowed Roghnu to offer its customers a best-in-class Cloud ERP solution. Providing our clients with the depth of functionality to automate complex processes and deliver the financial and operational insights to make strategic decisions. Roghnu’s Cloud Data Warehouse allows you to move your data and make it accessible through the cloud. We offer a robust solution that will allow for not only the archival of data but also adding new data for continued reporting and business intelligence analysis. Now that you have all this data, we created a cloud solution that allows for full business intelligence reporting. You can store as much data you company wants to keep and you can access it whenever needed. Aligned with the principals and services that we deliver; our CRM Integration links the best-in-class cloud accounting solution with the best-in-class cloud CRM solution. This provides our customers with a full view of every customer. Provides advanced fraud detection solution based on easy to use human-centric AI, machine learning and big data to provide the fastest, most flexible and affordable way for organizations of all sizes to effectively fight new types of fraud schemes. 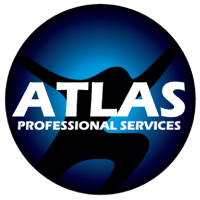 Atlas Professional Services has been dedicated to providing companies throughout Florida and the greater Tampa Bay area with exceptional IT support services to keep them running optimally and efficiently. For whatever can’t be on the cloud we have a solution for that! By partnering with Atlas, we can offer a technology infrastructure to keep all your other IT processes running efficiently. Armed with 20+ years of aviation experience ranging from ground operations, customer service, dispatch, charter sales, information technology and the executive office, Precise Digital Solutions offers a unique perspective and ability to understand the business as a whole. Partnering with Precise Digital Solutions has allowed Roghnu to assemble and customize a comprehensive solution for your aviation organization and manage the implementation from A to Z. This combines our best-in-class Sage Intacct ERP systems and our implementation team who already understand the challenges your industry faces. We take having partners serious. 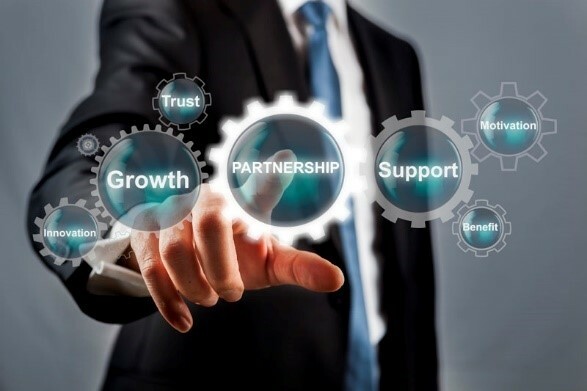 We look for one partner that works well with our customers and adds value to their enterprise ecosystem. Our strategic evaluation of our customers helps to ensure a seamless use of cloud-based technologies. When we tactically implement solutions we know what works well together. Are you interested in becoming a part of Roghnu’s ecosystem?